Lobstertank #24 – Badger’s Origins Report! It’s a two man show as Badger talks about all of the games that he played at Origins in this Lobster Tank special. It’s just Jon and Badger as they talk about some of the awesome and fun games featured at Origins game fair. Badger goes into great detail over all of the many, many games that he bought at the show. Join in! It’s a fun conversation! 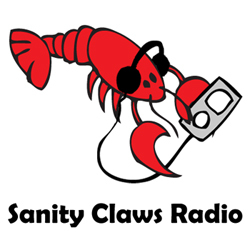 ← Sanity Claws Radio – Badgercon Booze Special 2015!